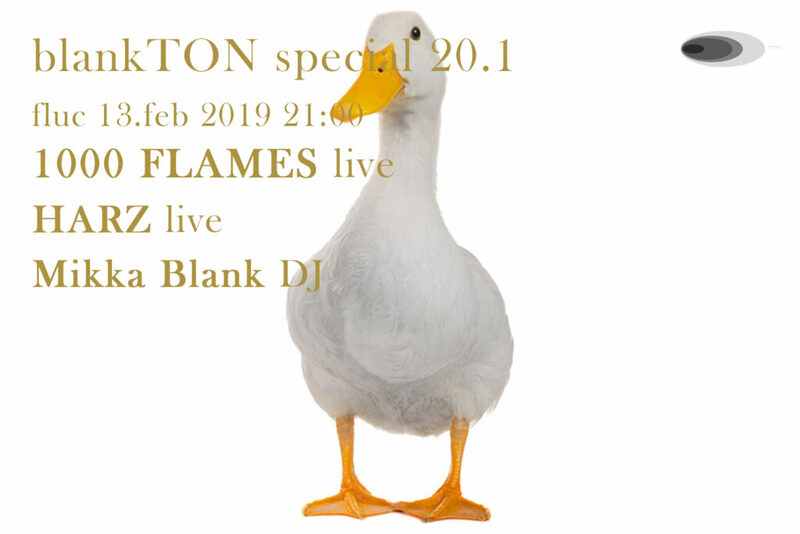 Incredible: blankTON will be 20 years of age this year. Although the blankTON recordings label will only have its 6th birthday this year, the overall acitivities under the blankTON-umbrella started in 1999. This is definitely a time to celebrate – and we start this with the first event in a series (details to follow …) on february 13th at the fluc vienna with our very own shoegaze/postrock/indietronica heroes 1000 FLAMES, supported by a new signing: HARZ is a viennese duo that creates its very own sound using a canvas of techno and IDM and playfully adding texture with various percussion-instruments from all over the world, especially the hang, as well as bass and trumpet to create their dreamlike and danceable sound. You have to listen to believe it – and especially see their energetic live performance. Before, after and inbetween, Mikka Blank will be DJ-ing or sorts. If you’re in Vienna on wednesday february 13th, don’t miss this. We start at 9:00 pm sharp!